France, a country famous for its agriculture and independently minded peasants, was long a creative powerbase for delicious recipes, that are both healthy and refined. 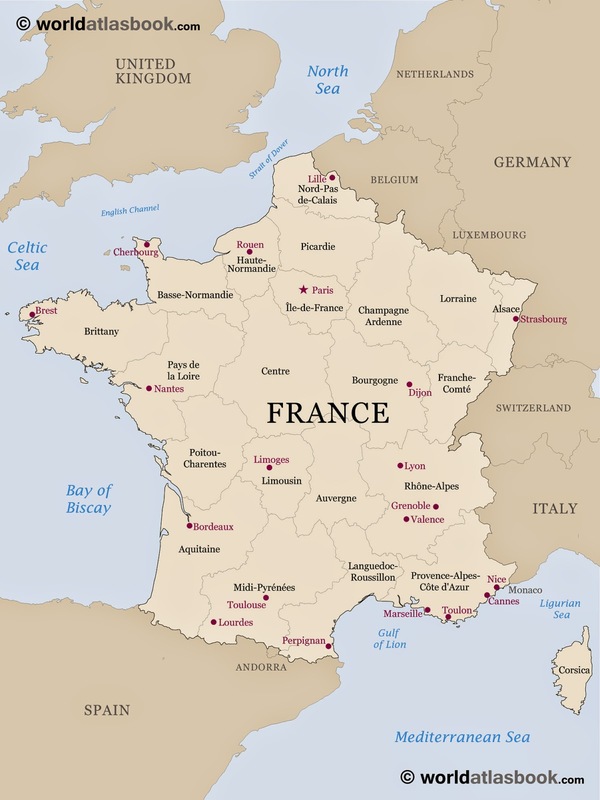 French cuisine was codified in the 20th century by Auguste Escoffier to become the modern haute cuisine; Escoffier, however, left out much of the regional culinary character to be found in the regions of France. In November 2010, French gastronomy was added by theUNESCO to its lists of the world's "intangible cultural heritage"
There are many dishes that are considered part of French national cuisine today.A meal often consists of three courses, hors d'œuvre or entrée (introductory course, sometimes soup), plat principal (main course), fromage (cheese course) and/or dessert, sometimes with a salad offered before the cheese or dessert. 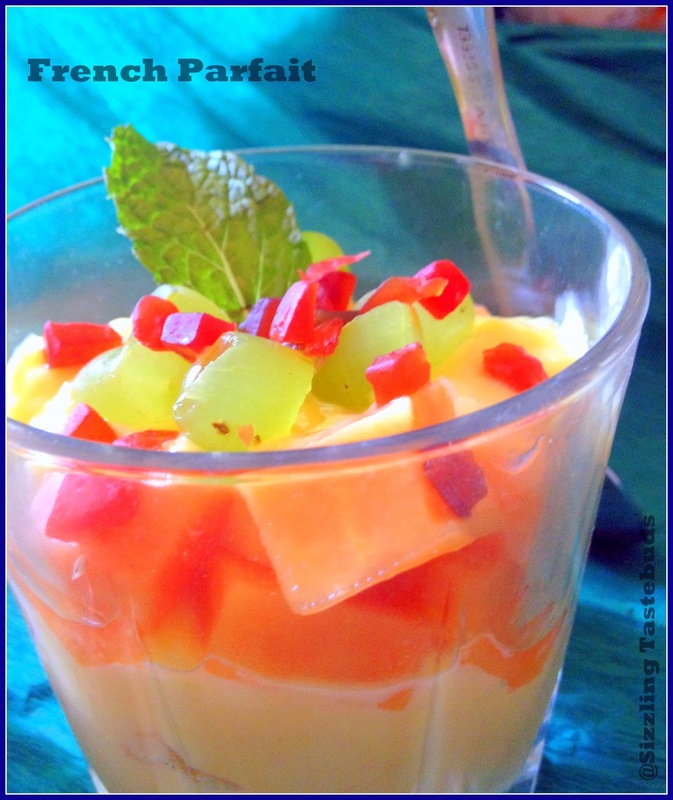 Parfait in French means perfect, and what could be more perfect than being healthy, calcium rich & an energy booster too. Parfaits are arranged as a mixture of fruits, granola / muesli and yoghurt. Top with crushed cornflakes and top with cherries and mint. Very fruity and beautiful light dessert to enjoy after a heavy meal..Looks fabulous and colourful. Very colorful and makes a great breakfast. Parfait a are loved in our house too. Nice one. This can be served for breakfast or as a dessert. Nice one. I was not a big fan of fruits with yogurt but have started liking it know. Parfait looks so colorful and tempting ! A guilt free and colorful desert! That's a beautiful dessert. .looks pretty as well as healthy. 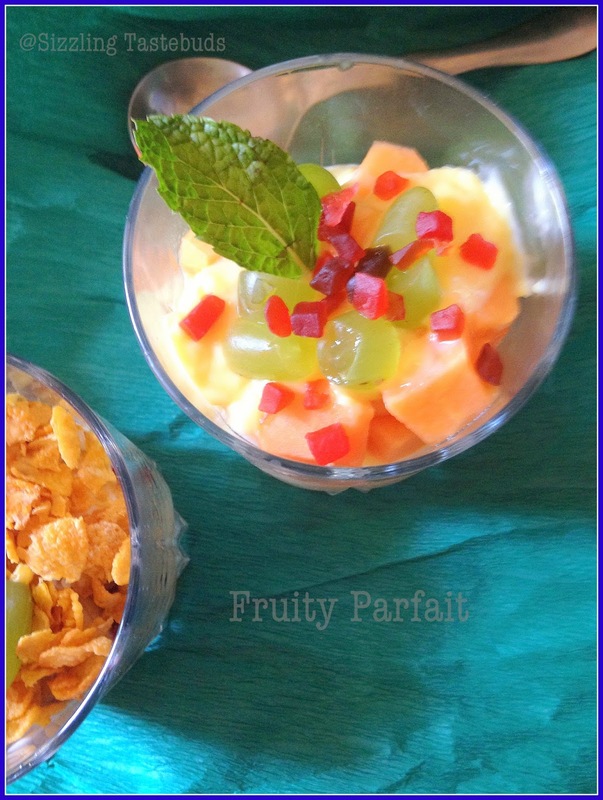 .love those fruits..the crunch from cornflakes and most of all the drizzled honey. .so dramatic! Parfait looks mind blowing dear :) such an colorful one, looks very delicious :) I wud love to finish a glass full now , pass me them soon !! This is a class A guilt free dessert! Delicious start to a beautiful day.Looks lovely. Looks very colorful and a beautiful way to kick start our morning with this fruity goodness!